Birds of the Heath: The Perseid meteor shower: it's that time of year again! 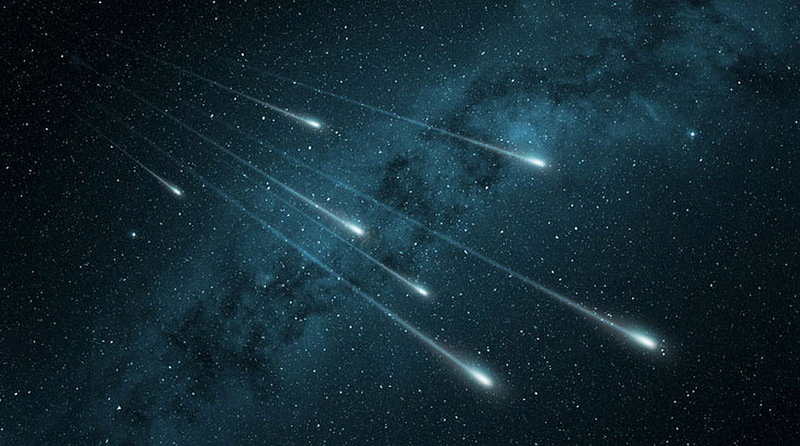 The Perseid meteor shower: it's that time of year again! OK: so the eclipse of the Moon coincided with the only rain clouds we've had in east Norfolk this summer, but I guarantee there won't be anything to spoil this annual cosmic fireworks display! Over the next five or six days, climaxing on August 12th, the comet Swift-Tuttle scatters debris into the Earth's atmosphere, creating the best meteor shower of the year. Just once or twice in my 67 years I've been treated to the fantastic sight of several 'shooting stars' per second: the usual rate is more like one every couple of seconds - but still spectacular. In among the usual whitish streak you might be fortunate enough to observe a really beautiful green fireball: I see one or two most summers. The Perseids appear to originate at a point in the sky near the large constellation Perseus (hence their name!) In the summer this constellation rises in the north east just after sunset: your best chance is to find a clear horizon and settle down in your deckchair at about 10pm.